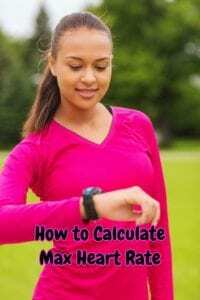 In this article, we will look at how to calculate max heart rate so you can get the best result from your workouts and achieve your fitness goals faster. You’ve probably heard the term max heart rate, but do you know what it means and if you should take it into account when you exercise? The fact is if you want to get the best from your fitness program, you should work in your max heart rate zone. Your max, or maximum heart rate is the uppermost limit that your cardiovascular system can handle when you’re undertaking physical training. It is the number which serves as a basis for all heart rate percentages and zones. When you work to that number, you will be in your most effective training zone. If you are new to exercise, it is recommended to work at 50-65% of your maximum heart rate. Intermediate level exercisers should aim for 60-75% of their max heart rate, and experienced athletes 70-85%. There are numerous ways to calculate max heart rate including the six we will look at below. What Happens When You Go Higher Than Your Maximum Heart Rate? 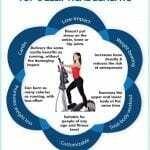 Most people and many fitness devices and online heart rate calculators determine maximum heart rate when exercising using a standard formula that has been around since the 1970s. The method involves subtracting your age from the number 220, with the result being your max heart rate. While simple to do and easy to remember, it is not very accurate. This is because your gender, fitness level, leg strength, and general health are not part of the equation. Also, studies have not been undertaken to prove or disprove the method for older adults. There’s no need to turn your workouts into math lessons. However, it’s worth memorizing or jotting down the following formulas which may give a more exact reading. If you are older than 20, take the number 208 and subtract 70% of your current age. This formula has proven to work the best for people over the age of 30 and 10-year-old to 16-year-old boys. If you are a woman over the age of 35, subtract 88% of your current age from the number 206. Another formula for calculating max heart rate that works well for healthy older adults and women of all ages is to subtract 64% of your current age from the number 211. A caveat that applies even when choosing the most relevant formula for you is that the number you arrive at could have a considerable margin-of-error. It might also be as much as 10 to 20 beats off. With these levels of uncertainty, some fitness experts question if these formulas are even worthwhile. In fact, in 2013 Runner’s World, which is usually obsessive about numbers, removed the Target Heart Rate Calculator from their site, saying that it had proven to be inaccurate. Next, we will look at how to determine max heart rate more accurately. Following are three protocols that will more accurately determine max heart rate. If you suffer from a medical condition that precludes you from undertaking strenuous exercise, seek the approval of your doctor before undertaking the following protocols. Run as fast as you can for 3 minutes. Rest for 3 minutes, then run hard for another 3 minutes, checking your heart rate every 60 seconds during the second run. The highest reading will be your max heart rate. Another way to find your maximum heart rate zone is to run for 1-mile – 6 laps – at a pace that is challenging but not the fastest you can go. Increase your speed on the fifth lap, then pick up the tempo further on the sixth, accelerating as fast as possible close to the end. Check your monitor every 100 yards on the last lap. Your maximum heart rate will be the highest number you record. Some experienced athletes use 3-mile runs to determine max heart rate. To do this, run as fast as you can for the entire course. Check your heart rate monitor every 100 yards. The highest heart rate reading will be your correct max heart rate. If you are a healthy adult, you may be able to exceed your maximum heart rate when exercising safely. The main drawback is that by going too hard, you increase the chance of sustaining a musculoskeletal injury. At the very least, it could result in sore muscles and joints that could sideline you. According to a 2002 study published in the Canadian Medical Association Journal, exceeding your upper limit increases the risk of heart attack. So if you suffer from vascular or coronary artery disease, ask your doctor to determine a safe level for you.